Many people have problems with forgetfulness, even if they otherwise have a good memory. And, yes, I am one of those absentminded people (just ask my wife). So I've had to develop various strategies to compensate. or if you can never remember a person's name even a few seconds after being introduced. Below are some of my personal tips for combatting forgetfulness, plus some other great ideas from others. Note that most of these tips are very easy to use, and they are also common sense! Can't find car keys. Right now get a small dish or tupperware container and set it on a shelf in your kitchen cabinet. When you come home from being out, always put your keys in this bowl. They "key" to remembering where your keys are is to always put them back in the same place, immediately. Can't find car in parking lot. I kept running into this problem at the grocery store until one day I solved it quite simply. Now I always park on the first or second row to the left of the entrance as seen when facing the store. That way, when I come out, I naturally start walking toward where my car is parked, because it has become a habit (a pattern). Always miss appointments. This may be as much an issue of organization as it is of forgetfulness. 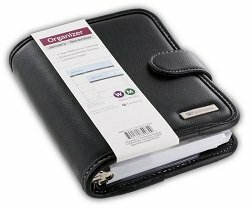 Get yourself an inexpensive day planner online or from Wal-Mart. I carry a monthly planner book that has two pages for each day. Whenever you make a new doctor's appointment or whatever, record it. And don't forget to check your planner every day. This is a simple solution to a problem many people have simply because we lead such busy lives. Research shows that most forgetting occurs within just a few minutes of learning new information (even for people who are not forgetful). Writing down the person's name will preserve the name on paper until you can review it later. The best strategy for me has been to be honest with the other person and make light about my forgetfulness in that situation. Usually if you don't freak out, the other person won't give you a hard time. They will usually just remind you about what you were saying. After all, they've probably been there, too. Can't remember someone's name after meeting them. Well, of course my first recommendation is to learn the Name/Face memory system. But if you forget to use the system one time or another, simply write the person's name down as soon as you possibly can, even if it's on a napkin or scrap of paper. Can't remember that someone told you something. This is probably a concentration issue, pure and simple. You simply may not be paying attention when other people speak. I have been accused of this, many times. First of all, awareness is a trait you can build if you are motivated enough. Decide to listen carefully when people talk. Second, try repeating back to the person what they said. Don't use the exact same words, though, or you'll sound like a parrot. Instead, to show you really have heard them, say back a summary of what they said, in different words than they used. And third, work on your concentration abilities. Try playing some of the brain games on this site to build your concentration and focus. And here are some general approaches to dealing with forgetfulness. In general, be philosophic about your forgetfulness. If you are like an absent-minded professor, just remember that a professor is smart, even if he or she is forgetful! Forgetfulness is simply something about yourself that you need to manage. Be patient. You can choose to get frustrated with your forgetfulness, or you can choose to accept and deal with it. Why be intentionally miserable? Improve your memory directly. Of course, this entire website is about memory improvement, so check out the pages about increasing concentration through playing brain games, improving your diet with brain foods and other changes, getting enough high-quality sleep, use the memory techniques, and so on. Use a wristwatch, cell phone, or electronic organizer to set alarms. If you need to take medicine every four hours, for example, setting an electric alarm of some sort can be very important. I use my wristwatch for my morning alarm clock. Get a safe deposit box at your bank. For really important items that you are afraid you might lose, open a safe deposit box. Small ones in my area cost about $25 per year, which is a small price for the peace of mind it brings. In the safe deposit box put all the stuff you rarely need to look at but which is irreplaceable or extremely important. 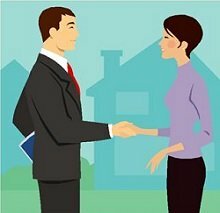 Obvious choices are wills, birth certificates, and other such documents; as well as jewelry and other valuables you may simply be keeping for investment value. 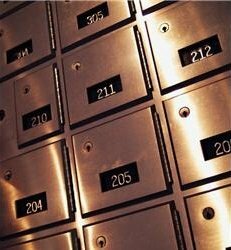 And don't worry if you forget the safe deposit box number - bank personnel can always look that up for you. But don't forget which bank, if you can help it! Use Microsoft Outlook. I use Outlook at work (my day job) to keep track of the many tasks associated with my responsibilities. As I mentioned, I do use a paper Daytimer, too, but Outlook has a very cool "Reminders" feature for when I am at my desk. At the specified date and time, Outlook displays automatic pop-up window to reminder you to do the task. The reminders are easy to set up. If you leave your computer on at home, I suppose you could use Outlook for the same thing there as well. Use a defined storage space for everything. I mentioned this in the car keys example above. But this idea can be expanded for everything else in your house that you always lose. Think umbrellas, flashlights, batteries, pens, books, old bills and tax returns, photos, sports equipment (balls, roller blades, whatever), and tools. The list is endless. A place for everything, and everything in its place will go a long way to solving your forgetfulness problems at home. This is also true for items you have at work, in the interior of your car, and so on. Keep a sense of humor. Maintain a healthy perspective about forgetfulness. And whenever your forgetfulness places you in an awkward position (Gee, boss, I forgot all about the presentation! ), try to laugh about it if you can. At least later. Do you have any tips for dealing with forgetfulness? I'd be glad to post the best ones on this website. We're all in this together, and we need to help each other out. Send your tips to me through my Contact Me page or post them in a comment directly below.